Various nozzle configurations depending on the liquid are also available. Rise and fall/bottom up filling configuration also available to assist with filling foamy products. When higher outputs are required, the SP8000 series is the next logical choice. As with all our other models, it is based around the proven, precision servo system for unrivalled performance and accuracy. The SP8000 series is available in a number of different configurations to suit your exact requirements. Thanks to the modular concepts common to all our machines all options are available as after market upgrades. As an entry level option, the SP8000 can be supplied as a 4 head machine to get you going with the flexibility to upgrade and add additional heads. With the SP8000 format, you can continue to expand your machine as your business grows up to a maximum of 8 filling heads, each capable of precisely delivering up to 350ml per head per second. Chromex Technology Limited is an active company incorporated on 12 March 2010 with the registered office located in Flintshire, North Wales UK. 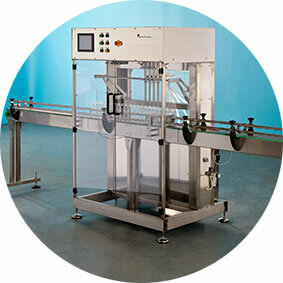 Chromex Technology specialise in bottle filling machines including Semi Automatic Liquid Filling Machines, Twin Head Liquid Filling Machines, Multi Head Liquid Filling Machines and E-Liquid Filling Machines. Copyright © 2018 Chromex Technology. All Rights Reserved.